I have been working with anxious children and teens for over 20 years and have been impressed with how well they use their imaginations both in maintaining anxiety and in reducing it! The power of imagination, use of metaphor, heroic quests, story telling, and play are essential to helping anxious children and teens (and their parents!). By nature, anxious children can be reluctant, suspicious, embarrassed by their anxiety, avoidant, and resistant to typical methods of dealing with difficult situations and feelings, especially anxiety. In the early 1990’s, my colleague, Dr. Jane Garland, and I invited children to investigate their worries in imaginative ways and to experiment with challenging them; building upon the idea that children’s natural way of exploring and developing mastery in tasks, emotions, etc., occurs though play and imagination. Being curious about their “symptoms” of anxiety, such as “that’s amazing, that you are so good at imagining and coming up with so many things to worry about, you sure are a creative worrier!” creates an unexpected positive re-frame which is immensely effective in getting children engaged with the process of anxiety treatment. The Taming Worry Dragons model emerged from this early therapeutic work which integrates cognitive-behavioural therapy (CBT) principles with mental imagery, story-telling, play, and metaphors. We were delighted to see that children readily engaged in their own “quest” to master their own “worry dragons”. Children engaged in imaginative work to draw and create their worry dragons and problem-solved ways to “tame” and “trap” them; moving children from over-thinking about their worries to active problem solving. With this approach, most children readily become curious and excited about exploring how their worry dragons are getting in the way and how they can use their imaginative talents to develop skills and tools to manage their anxiety. Parents enthusiastically supported their child’s quest as coaches. As anxiety is not meant to be eliminated (some level of anxiety is adaptive and keeps us safe), the metaphor of “dragon taming” implies trapping and taming rather than slaying the worry dragons. 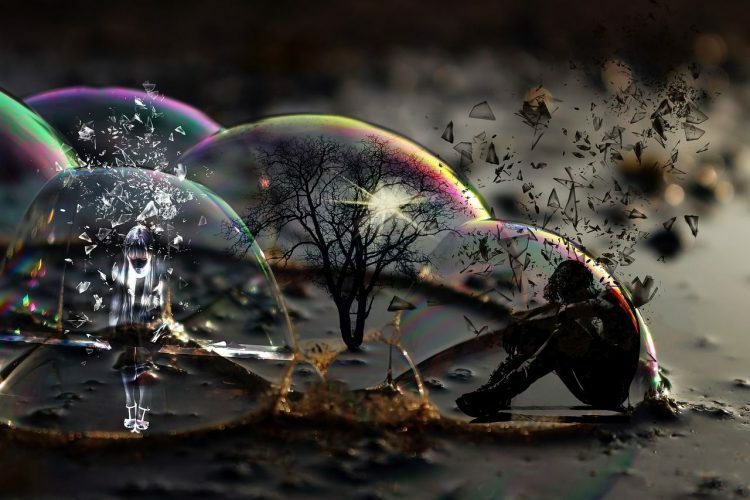 Anxiety is positively re-framed as having a “talent for creative imagination” and the tendency for one’s body to over-react is re-framed as having an overly sensitive body alarm system. These analogies are both helpful in getting through difficult situations in life – children create their own story of how they will use their “talent” to manage their anxiety and worry and develop a sense of mastery over anxiety-provoking situations. 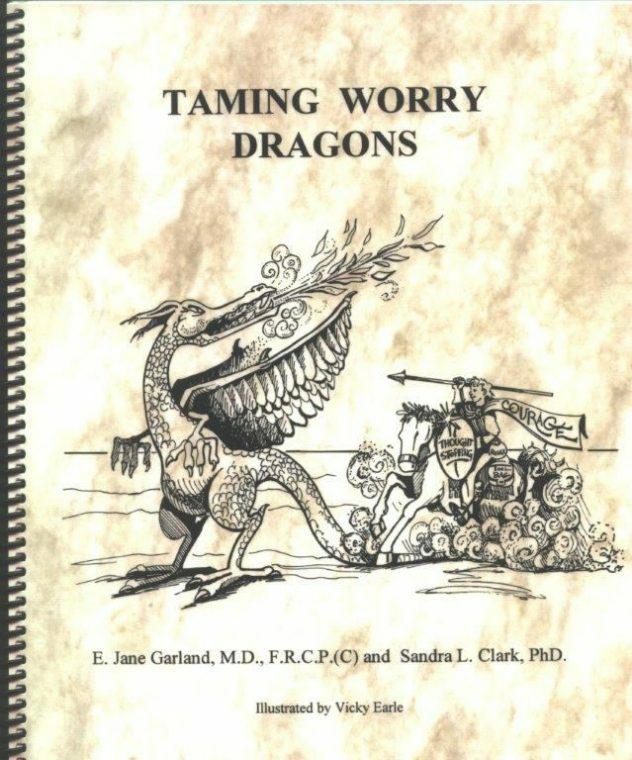 The Taming Worry Dragons approach incorporates core CBT components starting with psycho-education about how anxiety develops through the interplay of thoughts, feelings, and behaviours. Children learn about unhelpful thinking patterns, the power of thoughts in guiding our feelings, the ways our bodies respond to anxiety and fear as well as how avoidance gives more power to the worry dragons and prevents one from doing things. 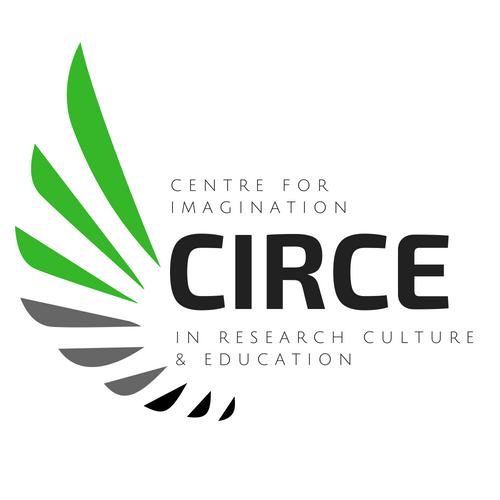 Using a play-based and creative approach (for older children and teens), the children take the lead in exploring their own story of how the worry dragons affect them, when they show up, and exploring and expressing their feelings and thoughts about worries and fears in creative and imaginative ways. The “externalizing” of anxiety allows creation of a shared language (for parents, teachers, therapists) to join in the quest for taming and trapping worry dragons. Parents and other adults in a child’s life can model an attitude of curiosity, playfulness, and humour, to work together through their journey of mastery over anxiety. Parents in particular, are encouraged to see the creative and imaginative side of their child as a means to develop life-long anxiety management strategies. The Taming Worry Dragons manual was first published in 1995 and is now in its 4th edition. I have a great sense of pride and satisfaction in seeing how effective this imaginative, metaphorical, and creative approach to anxiety treatment has been and continues to be. Many different approaches have come and gone; seeing the continued effectiveness of this approach after so many years is a testament to the power of imagination for helping anxious children, teens, and parents. The Taming Worry Dragons approach has evolved into a program that includes a manual for teens who also enjoy creating and imagining their own quest in mastery over anxiety in a format and language of imagination that fits with their developmental level. There is a Children’s Workbook, a Classroom manual for teachers to administer the Taming Worry Dragons in their classes, and a soon to be published parent manual. The main Taming Worry Dragons manual is also read and used by many parents who have commented that they wished they had something like this when they were younger! Dr. Sandra Clark is a clinical psychologist who has been working in the Mood and Anxiety Disorders Clinic at B.C. Children’s Hospital for over 20 years. She also has a private practice in Vancouver. Dr. Clark has held other roles that have included, Acting Head of Psychology and Director of Training for the Psychology Department at B.C. Children’s Hospital. 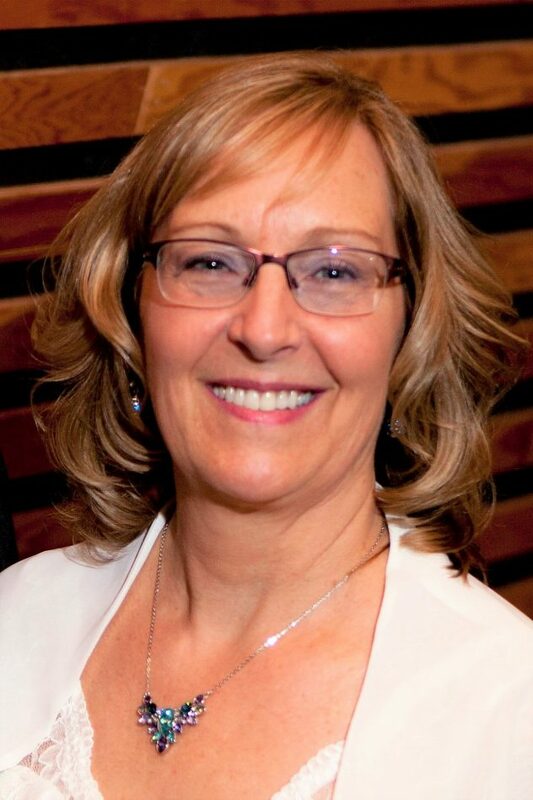 Dr. Clark is and has been involved with provincial and national organizations and committees for psychology including the Canadian Council of Professional Psychology Programs (past president), Canadian Psychological Association Accreditation Panel (past chair), College of Psychologists of British Columbia Quality Assurance Committee, and she provides regulatory supervision for the College of Psychologists. Dr. Clark is certified as a cognitive-behavioural therapist by the Canadian Association of Cognitive and Behavioural Therapies. Her clinical work involves consultation and assessment of the cognitive, educational, social, and emotional needs of children and adolescents. Dr. Clark does individual therapy with children with a variety of anxiety and mood issues (eg. generalized anxiety, OCD, selective mutism, social anxiety, phobias, panic, tics, depression, etc. ), she does parent coaching and support, and she runs therapy groups for children with anxiety disorders using the Taming Worry Dragons program. She is involved in research in the area of treatment of anxiety in children and adolescents. Her work also involves presentations and community education to physicians, teachers, counselors and therapists, and children and their families. She is the co-author of “Taming Worry Dragons”, a manual for helping anxious children and “Worry Taming for Teens”. She has also developed the “Facilitator’s Manual: Coping Skills for Children with Anxieties” for use by other professionals to teach groups of children how to cope with anxieties and a companion children’s workbook, “Tools for Taming and Trapping Worry Dragons.” Other additions to the Taming Worry Dragons program include “Taming Worry Dragons – Classroom Manual” for use by teachers and others to provide a classroom-based anxiety prevention program and it’s companion “The Kid’s Guide to Taming Worry Dragons” which includes a summary and review of anxiety for children as well as tools for managing anxiety, in color and in a “small, pocket format”. The most recent addition to the Taming Worry Dragons program in development is the co-authoring of a parent manual for the concurrent parent group as part of the anxiety treatment group for children at B.C. Children’s Hospital.